Sometimes your small phone screen doesn’t turn out to be the best interface to view media or present files. That said, you’ll definitely want an easy way to display your phone’s display on a bigger screen, such as a TV. And you want to do it quick, as time is really important, such as in presenting for a group of people. For example, you might need to connect your iPhone to a TV in a meeting room in case you forget your laptop. How do you do that? Well, with modern technology today, it’s actually really easy. If you follow along with us below, we’ll take you step-by-step to get your iPhone’s content displayed on your TV screen. And this will work with iPad and iPod devices, too! Let’s get started. 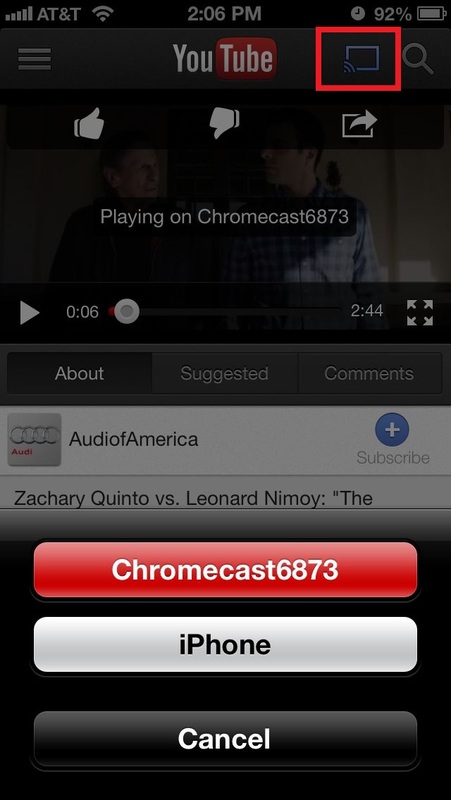 If you are simply looking to connect YouTube on your iPhone to the TV, a good way is to get a Chromecast. Since both the Chromecast and YouTube are produced by Google, they will naturally sync with each other. Make sure your Chromecast is setup on your TV — all it takes is to plug it into the HDMI port on the back — then go to your YouTube app — a free download — on your iPhone. You should see a Chromecast symbol at the top right corner. Tap the symbol to cast your YouTube content to your TV. Chromecast works really well, but isn’t always the best way, especially if you don’t have an Internet connection you can use for the TV. That said, something a little more reliable would be through HDMI — a wired connection between iPhone and your TV. All you need is an Apple Digital AV Adapter — it has to be plugged in the HDMI port of your TV and the other end — the lightning end — to your iPhone. When the iOS device gets connected, you can swipe through your iPhone to see all the content on the TV screen almost instantly. 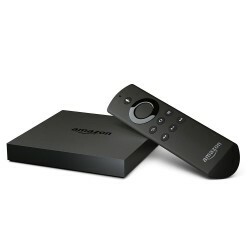 Another method to easily connect your iPhone with your TV is by purchasing an Android TV stick, such as the Fire TV stick. Once you plug it into your TV, you can actually run the Kodi media app on your iPhone with AirPlay enabled. Play and enjoy unlimited music and videos on the large screen without a hitch. It’s easy to setup, too. Another way to connect your iPhone to the TV is through a piece of hardware called Apple TV. It’s able to display content on your TV, wirelessly, through the use of AirPlay mirroring. You can easily stream videos, photos and even some games. You just need that Apple TV, an iPhone 4 or higher. 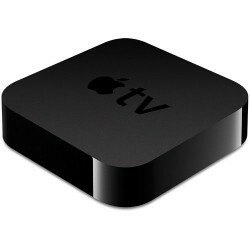 Your Apple TV will need to be 2010 or newer as well. Connect your iPhone and TV to the same internet connection. Next, turn on AirPlay from the control settings of your iPhone. Next, your iPhone screen will immediately appear on the TV. The iPhone itself can be used as the controller or remote. Finally, play and watch any media that you want. If you have a Smart TV, you can easily display the content on your iPhone on your TV. There are actually a handful of free and paid apps on the AppStore that will help you display that content. 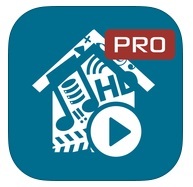 For one, there is a paid app called ArkMC UPnP. It is available for $4.99 on App Store. Your iPhone can be connected with your Smart TV wirelessly, just using this app. All you need to do is connect both devices — the Smart TV and iPhone — over the same Wi-Fi connection. Activate your Smart TV’s internet connection. Run the ArkMC app on iPhone. Choose the media renderer screen in Options. Select the media to be played. If you own a TV that does not support a HDMI, then a composite AV cable can be used to set up an analog network between TV and iPhone. You will have to connect the lightning port to an iPhone with an adapter, and then the yellow colored cable with the analog video port of TV. After the connection, everything you view on iPhone will be displayed on the TV screen. As you can see, there are a number of different ways to connect your iPhone, iPad, and iPod to a TV. Any one of these ways can be setup within just a couple of minutes — it’s mostly just a matter of choosing which one you think is going to work best for your situation. For example, if you have spotty Internet or no wireless internet available, HDMI is probably the most reliable way to make connecting to a TV happen. What way are you using to display your iOS device’s content on a TV? Let us know in the comments section below. Thanks for sharing this article, I totally agree with your choice of the applications and streaming devices. I personally use also ArkMC for MAC, I have recently installed it and satisfied. There is a 14 days trial for free. It works like ArkMC application for iOS but on my MAC. Very easy and quick performance of the application.